It is situated in the City of Casey at 17 Langmore Lane, Berwick. Berwick RSL is a medium sized traditional RSL. We have a membership of about 250 catering for all categories of membership except Community members. 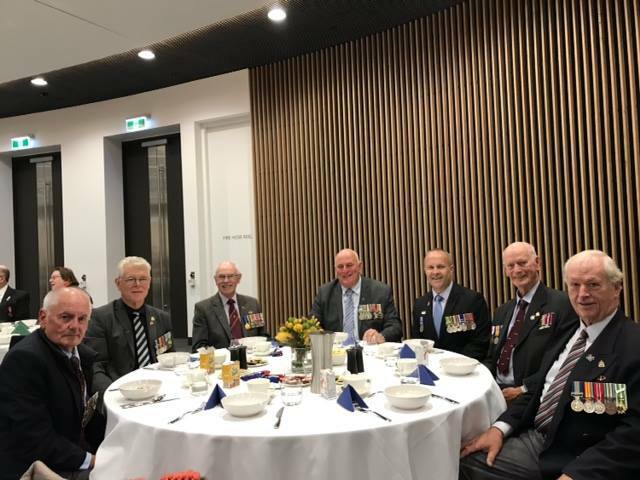 The Berwick RSL Sub-branch is administered by the Sub-branch Committee and the sub-committees appointed by the Sub-branch Committee. Welfare, Finance, Appeals, Membership, Building and Grounds, Memorial and Memorabilia, Activities and Events, and other ad-hoc sub-committee as required. We have a very active Women’s Auxiliary who give much appreciated support to the RSL activities. All Committee, Sub-committee and Women’s Auxiliary members are volunteers. We have no full-time staff. Our building is owned by the RSL and has a Members Lounge and Bar, Hall and Kitchen. We do not have gaming machines. The Members Lounge and Bar is open Monday to Saturday from 4.30 pm to 7.30 pm. The Hall and Kitchen are used by the RSL as required and are available for use by members and functions and for hire by outside organisations. The Kitchen operates only on an as-required basis. The primary aim of the RSL is to provide support to veterans of the Australian Defence Force. This may be done through Welfare and Counselling, or by providing a venue for common interests and activities. The ongoing generous support of the local Berwick, Narre Warren and Beaconsfield communities is greatly appreciated as it allows us to provide the many and varied services required.